Ben Long helps clients resolve their pensions disputes to ensure that trustees, employers and members get the benefits they expect out of their pensions schemes. 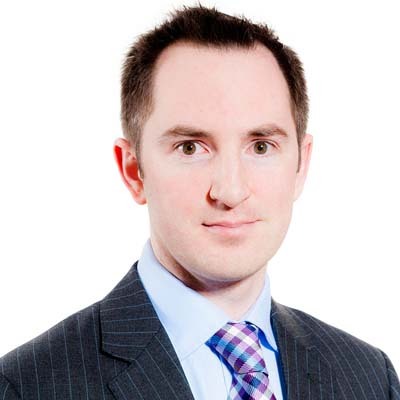 Ben advises clients on all aspects of the effective running of pensions schemes, with a particular focus on disputes, including applications for rectification, professional negligence actions and IDRPs and complaints to the Pensions Ombudsman. A range of issues can arise in the management of pensions schemes and the documentation that governs them, leading to uncertainty regarding how to administer the scheme and misunderstandings in the funding of benefits. Ben assists clients to develop solutions that get to the core of how the scheme was intended to be administered in a cost effective and pragmatic manner so that trustees, employers and members can have confidence in the benefits that the scheme provides. Ben understands the full range of solutions that can be applied to achieve a client's goals for their pensions schemes and the importance of identifying the key issues early, often from multiple viewpoints, so that they can be engaged with quickly and effectively. Ben enjoys being able to engage with the interesting and difficult issues that pensions disputes often present to solve problems, reducing costs while ensuring that the scheme functions as it was intended. Pensions law is complicated and fast-moving, so being able to ground his advice in his experience of both the commercial and individual context is crucial to ensuring that everyone involved understands what the benefits of the scheme are or should be, and how those benefits can be provided in a cost-effective way. Helping clients get the most out of their pensions scheme is always a highlight. The implications of pensions scheme issues can be enormous and unsettling for all involved so being able to correct past wrongs arising from, for example, a mistake in the scheme's documentation can have far-reaching and rewarding effects. One particular case that stands out involved successfully resolving a dispute to the benefit of the client before it reached court proceedings. Ensuring that the issues are clearly identified and the case is resolved in the most cost-effective way can make a real difference to a client when they are navigating unforeseen or unfamiliar circumstances. It's a real highlight to see a client get a satisfying result and go away with a better understanding of their pensions scheme that they can apply to the day-to-day. Trustees of schemes in the manufacturing, financial services and technology sectors. Employers in the construction, charity/not-for-profit and manufacturing sectors.